A pop-up flash automatically pops-up on top of the camera when the light is too poor for a good exposure. This is a variously named component found on many entry-level and mid-range SLRs. The term ‘Pop-up’ Flash refers to the on-board flash unit. It is named for its functional action – to pop-up ready for use. 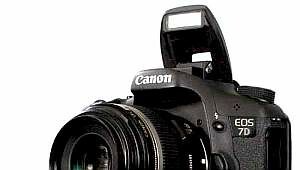 The on-board light meter in modern DSLRs in ‘Auto’ mode is set to spring up when the ambient light conditions are too low for a good exposure to be created. The pop-up unit has been a popular feature of SLRs dating back to the 1960’s. However, it is only since the advent of electronically controlled cameras that the pop-up flash has sprung into action automatically. This action was created because the electronic light meter on board the camera is able to trigger the flash when the light levels require its action. Pop-up flash units can be over-ridden. The way to over-ride the pop-up action varies from manufacturer to manufacturer and between models. Check your manual for full operating details. Ensure that you do not hold down the pop-up flash if it is triggered. Wear to the mechanism and possible electrical problems can result from this action. There is normally a manual pop-up button that allows the flash to be sprung open to use the flash for ‘fill-in‘ purposes even if the over-all light levels are adequate.